Uttarakhand, the land of diversity is home to lush aromatic basmati fields, the vibrant amaranth, nourishing millets -the forgotten foods, innumerouily pulses, the magnificent oak and the breathtaking Rhododendron. Come join us on this amazing and alluring journey to breathe the freshness of our air and relish the flavours of biodiversity from our fields. Let local women be your guide through the unique terrace fields, tell you the tales of their traditions of saving seeds, witnessing their strong bond with the land, seed and community. Come experience the biodiversity heritage and food culture of Uttarakhand through the story of the seed. Harvest with our organic communities the fruits of their labour and joy; savour the taste of fresh, organic and local foods of the hills. Experience the way of women’s ecological agriculture that has sustained their villages and the environment for centuries. 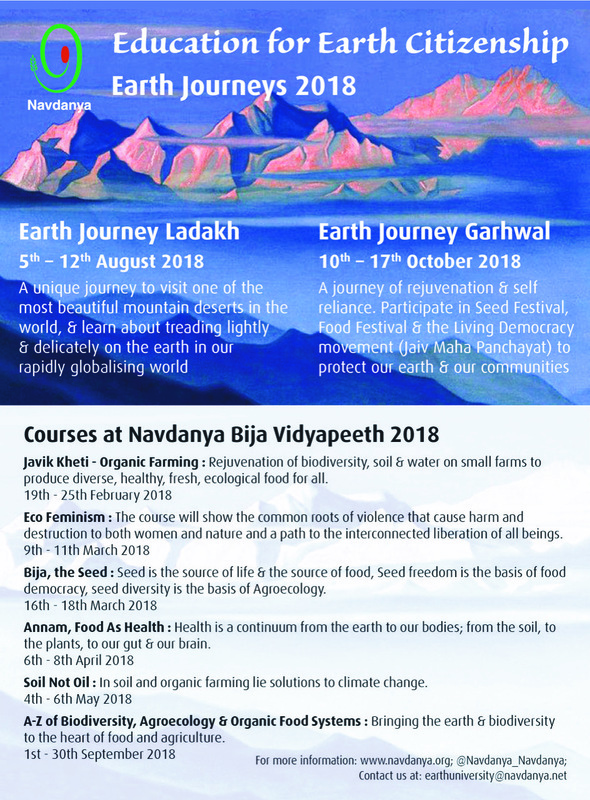 So come to Dev Bhoomi (Uttarakhand) for a journey to not just participate in but to be one with the Navdanya Earth family – Vasudeva Kutumbhakam. 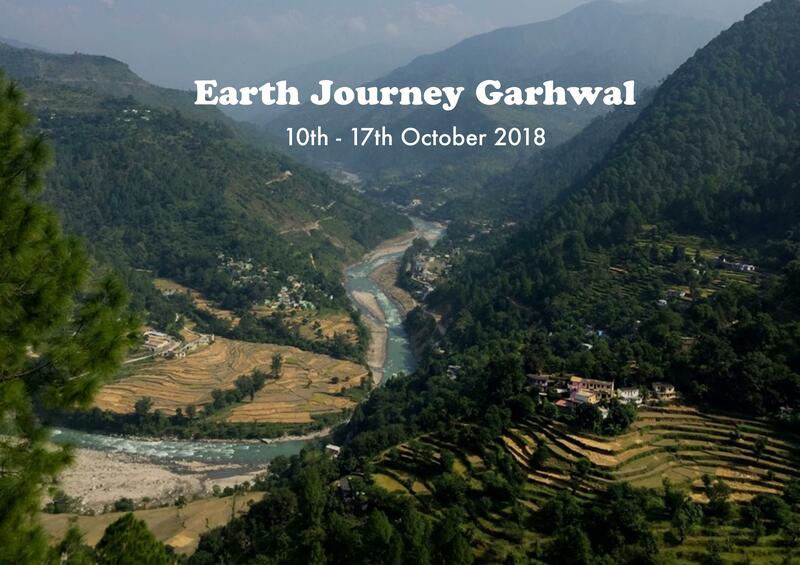 No Comments to "Earth Journey to Garhwal"